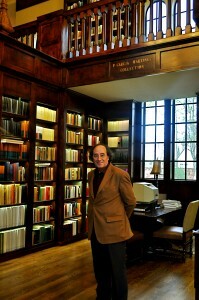 Florentino García-Martinez has devoted his entire academic career to the Dead Sea Scrolls. 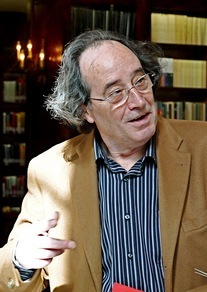 Through his studies around the world, his editing of numerous publications and journals and his authorship of almost twenty books, García-Martínez has made a significant contribution to the study and interpretation of the Dead Sea Scrolls. Thanks to his work, the Scrolls have become one of the most important instruments for understanding early Christianity in the Jewish and Graeco-Roman world. 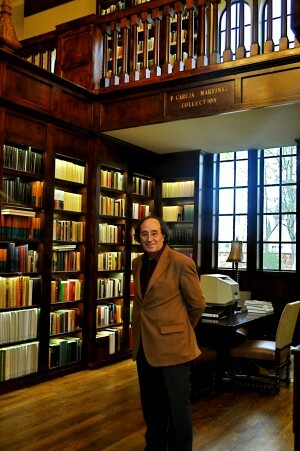 In 1992, García-Martínez became the Director of the Qumran Institute of the University of Groningen. As director, he managed two international journals and two monograph series, in addition to the demands of leading the international organization for Qumran studies. Under his leadership, the Institute received international recognition. His research and leadership in this field have engaged not only Jewish and Christian scholars but also secular audiences interested in Anglo-Saxon and Romance linguistics. By making substantial contributions to all aspects of the Scrolls, García-Martínez is known as the only scholar who is master of the whole field, in both the linguistic and the historical sense. As a result, Florentino García-Martínez has played a vital role in transforming the international study of the Dead Sea Scrolls into an independent academic discipline. In 2008, García-Martínez was made a Knight in the order of the Dutch Lion in honor of his retirement. He currently holds Emeritus Professor positions at the University of Groningen in the Netherlands and at the Catholic University of Leuven (Belgium). García-Martínez lives in Belgium with his wife Anne Marie Barnet.